leaving them hard and brittle; susceptible to cracks, injury and disease; unable to regenerate quickly because of slowed growth. RAIN MAKER Hoof Moisturizer and Conditioner can protect horse hooves from these damaging conditions. RAIN MAKER leaves hoofs with a healthy balance of moisture. It’s an advanced hoof dressing that helps restore and condition damaged hoofs, so they can absorb the stresses and shocks of daily life with ease. Special natural ingredients are combined to give RAIN MAKER hoof moisturizer its unique «Triple Action» - attraction of moisture to the hoof, absorption of moisture and retention of the moisture once it has been absorbed. 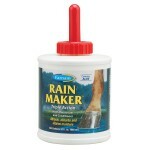 RAIN MAKER helps prevent painful problems like cracks, splits and contracted heels. Enhances color, sheen and texture, leaves hoofs with a natural glossy, lustrous appearance. 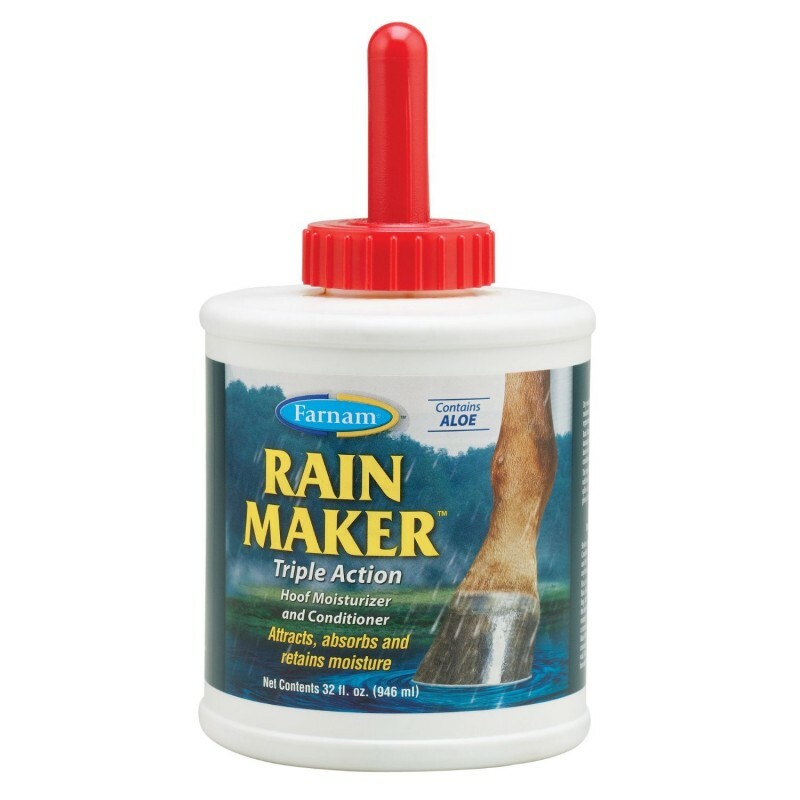 Before applying RAIN MAKER, be sure the sole and wall of the hoof are clean and dry. Pick out the soles and clefts of the frog to remove any foreign matter. the bulbs of the heel. Next, apply to the hoof wall to aid in restoration of the periople, retard moisture loss and give the hoof a natural sheen. Repeat treatment as needed, once or twice a week. Neatsfoot Oil, White Petrolatum, Glycerine, Pine Tar, Lanolin, Aloe Vera, Hydrolized Animal Protein.